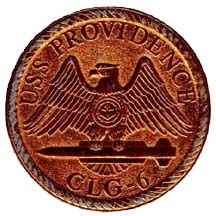 The USS PROVIDENCE (CLG-6) was built by the Bethlehem Steel Corporation of Quincy, Massachusetts, as a light cruiser of the CLEVELAND class. She was designated CL-82. 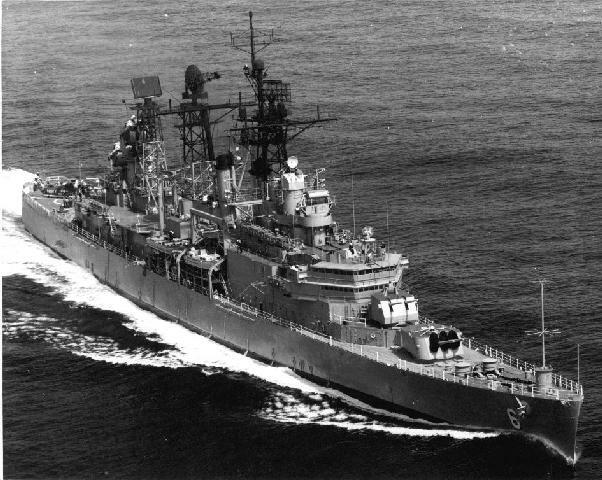 Her keel was laid on July 27, 1943, and she was commissioned on May 15, 1945, at the Boston Naval Shipyard. She served as Flagship in Mediteranean waters during the next four years with three tours of duty as a member of the SIXTH Fleet. Her first skipper was Captain W.B. Jackson.